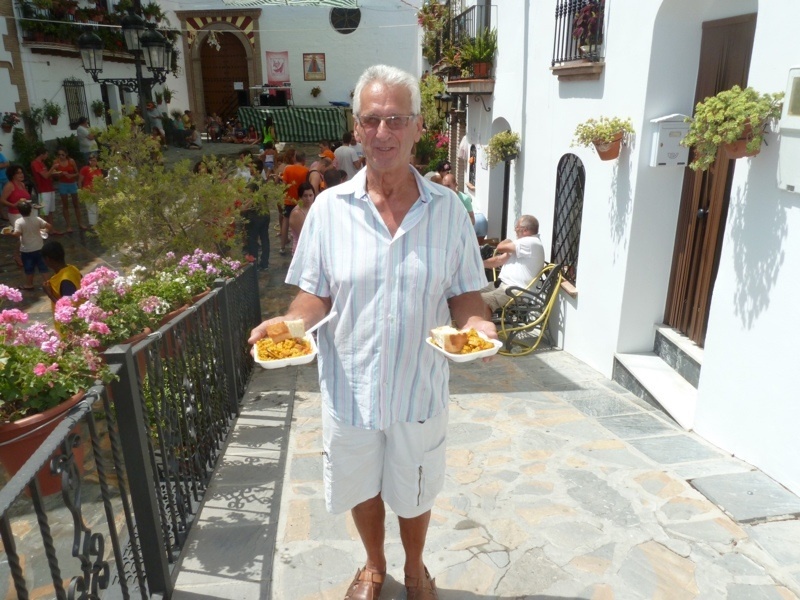 The feria season is drawing to an end in our area of Andalusia, Southern Spain. 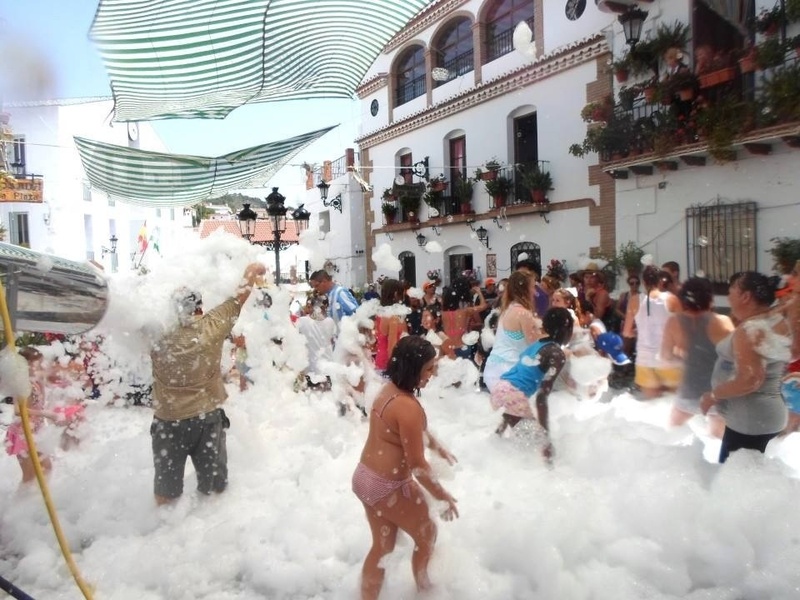 Every July/August the local villages take it in turns to transform their streets into a venue for funfair / equestrian games / pop concert / choral performance / religious procession / children’s water park / foam party / free food / marching brass band, and probably many more events that I have missed. 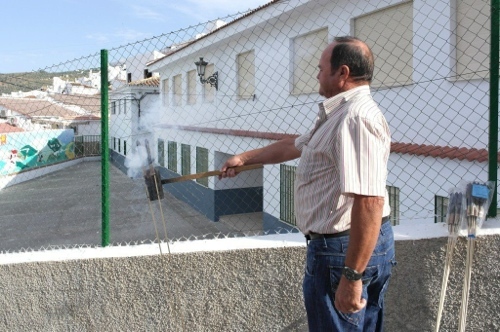 Our village of Canillas de Albaida commences celebrations by letting everyone know that the party is about to begin by firing earth-shatteringly loud rockets into the air throughout the day and into the night of the preceding Thursday. If I’m lucky I might hear the whoosh or see the puff of smoke that warn of the almighty bang that will follow, which will otherwise make me jump out of my skin. 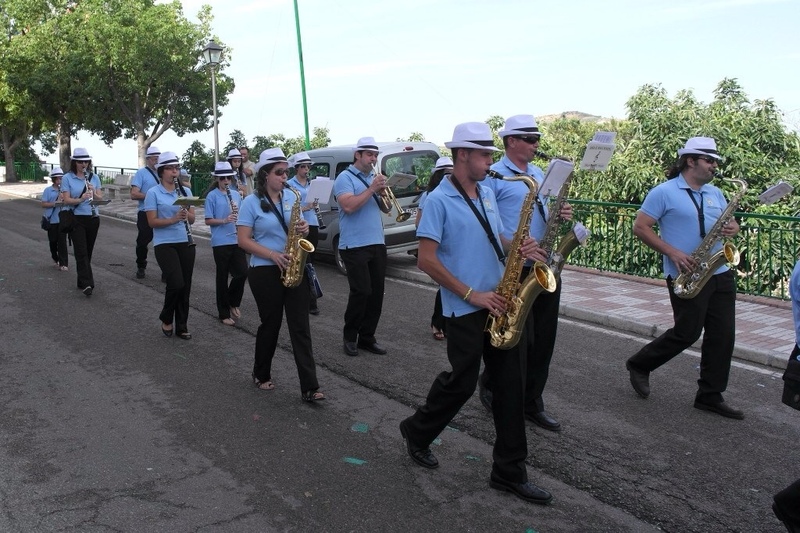 On Friday the village band marches the streets throughout the day, belting out a variety of numbers from religious to oom-pah jazzy. This year the band seems to have swelled in number with members from all age ranges, and they are really rather good, especially when heard from our terrace, high above the village. 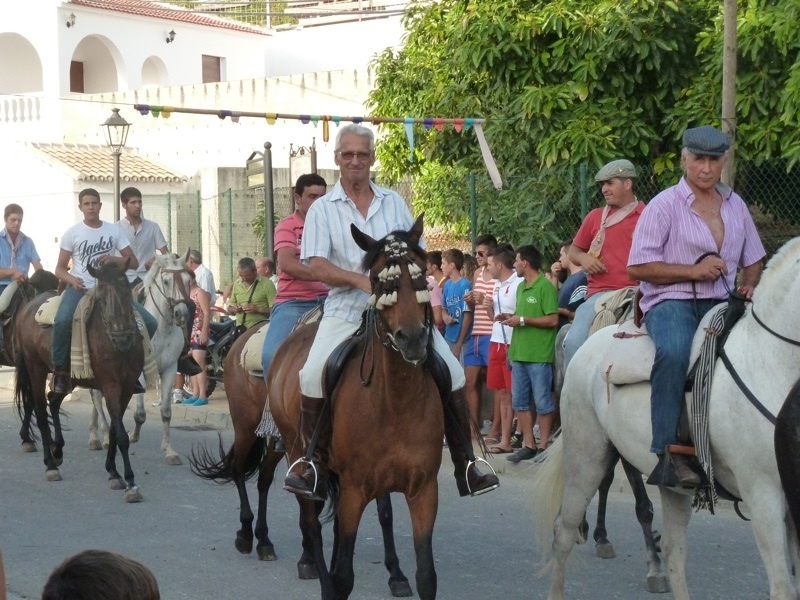 At 19:00 the first event begins with “La corrida de cintas a caballo”. This event involves coloured ribbons, coiled around a cardboard reel, and thread onto a wire which is fastened to a lamp post or other convenient item on either side of the road. The end of the ribbon has a small ring attached which is left hanging. The idea is that those horses and riders that take part set off from about 30 metres away, at a gallop, and the rider holds a pencil which he (and occasionally she) tries to insert into the ring as he gallops under the wire. When successful the ribbon unfurls as the horse charges away. There seems to be some form of rules and regulations because some ribbons are confiscated and reattached to the overhead wire. Once all the participants have had a go, they all return to the starting point and try again. 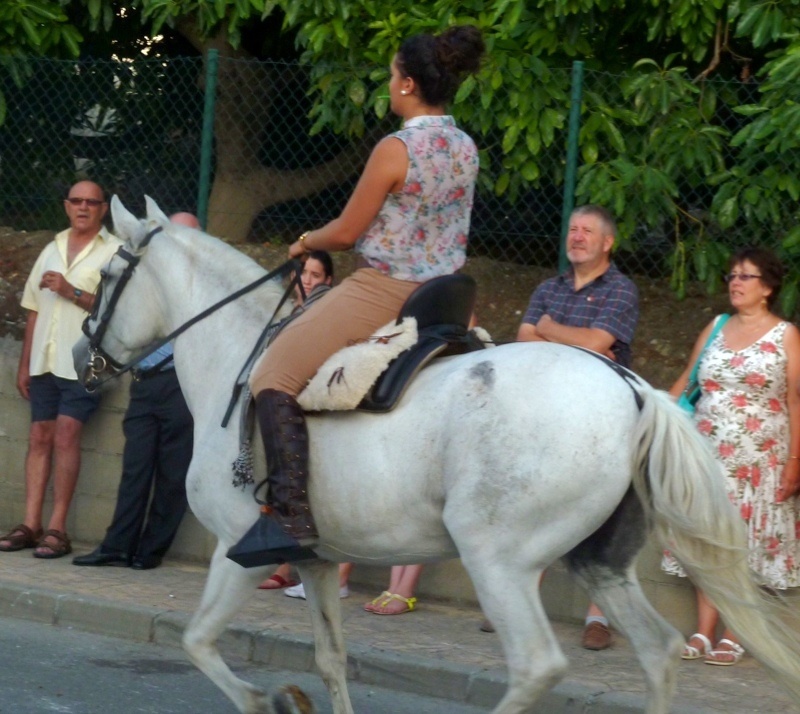 Horse riding in this part of Spain is a very macho pastime and we don’t see many girls and women riding locally. On this occasion there is one young woman amongst about twenty men, most in their teens and early twenties, but a few more mature fellows, David amongst them. It is the first time he has attempted the sport and is very competent at getting Liana to set off at a gallop, but not so successful at winning a ribbon. After the horses and riders have stripped the wire of all the ribbons, new ones are attached, the wire is set at a lower level and it is the turn of the motor cyclists to have a go. At the end of proceedings, David is handed a consolation ribbon by the “Ribbon Master” and we decide a drink and tapas is called for, so we make our way to Ramon’s bar where there is a convenient car park with railings to harness Liana and she waits patiently, with the occasional pat and a treat of some bread. It is quite dark by the time we make our way home and Liana finally gets a late supper with an extra bit of hay for all her hard work. 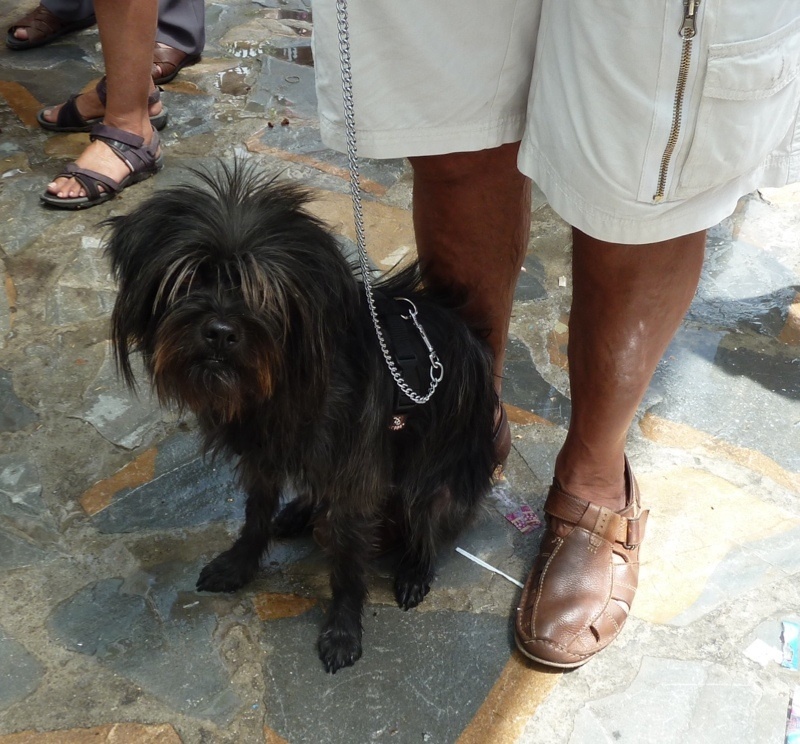 She was very cooperative during the cinta and seemed to enjoy herself. She is not the sort of horse to do something she doesn’t like – and she has a choice to be uncooperative due to the tack that she wears, unlike many Spanish owned horses in this area that are ridden with quite ferocious bits and nose-bands and often with spurs. They do not have a choice, as to refuse to cooperate would result in pain. But maybe this is a topic for a different post. 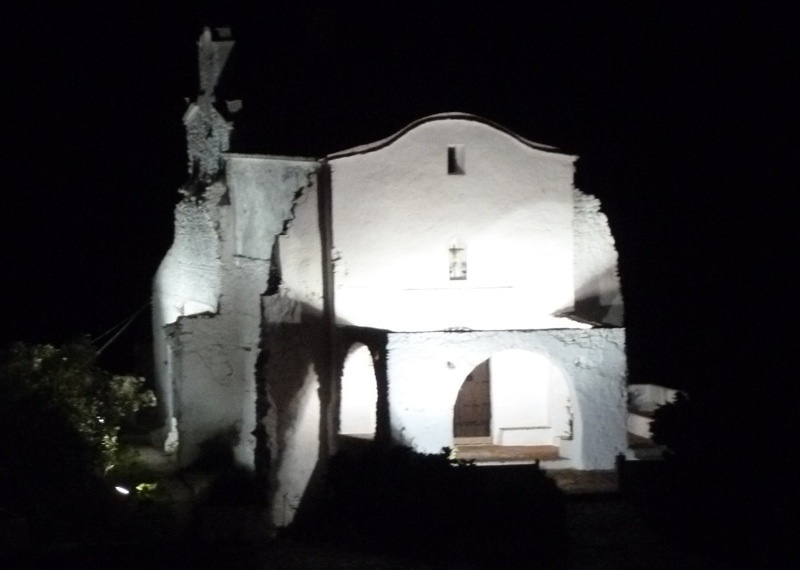 Back home, we can hear the sounds of the Señoras’ choir drifting up from the village. We should go back down to enjoy the festivities, but the draw of a comfy chair wins out and we stay put. 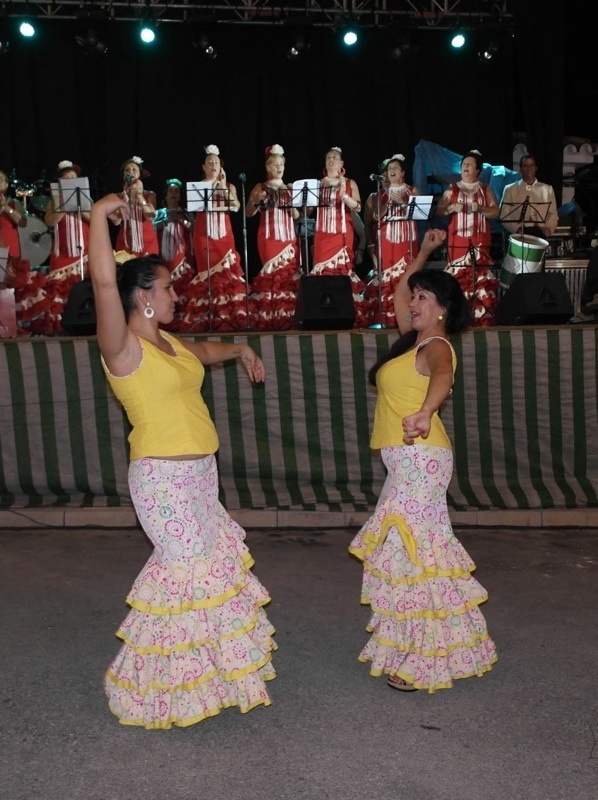 However there are many that attend to enjoy the music and dancing. 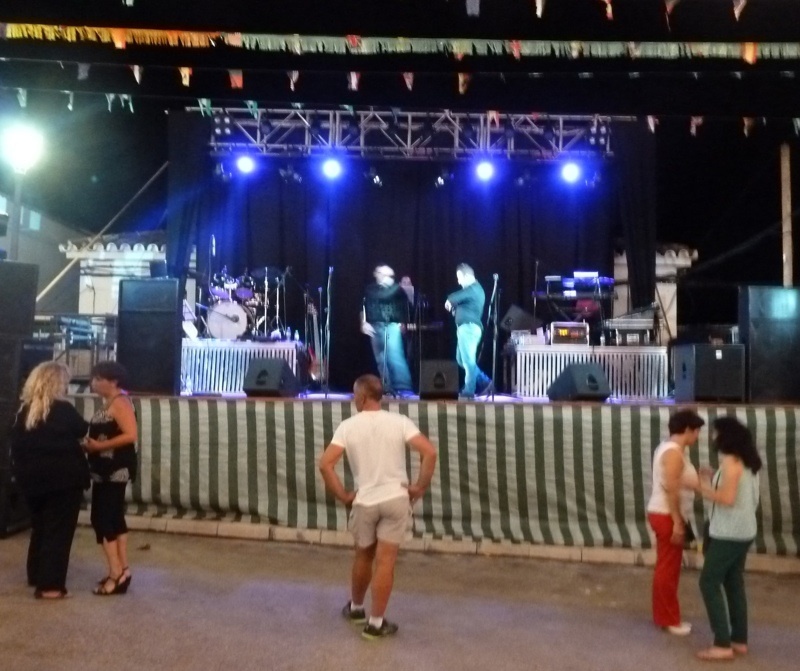 After the Señoras there comes the crowning of the feria queen and then the night really gets going with the pop groups that belt out the music so loved by the Spanish, who all get up to dance and enjoy themselves. Amazingly, the bands play until the not so wee hours of the morning, coming to a halt at 7am. We can clearly hear every beat of the music at our house, as loud as you would listen to music on your own CD player. Of course it is very hot so the windows have to stay open. Sleep during this weekend will be intermittent at best, and as soon as the music stops, our animals all start their own particular chorus, demanding breakfast, so there is no chance for a lie in now that the townsfolk have decided it is time to sleep. 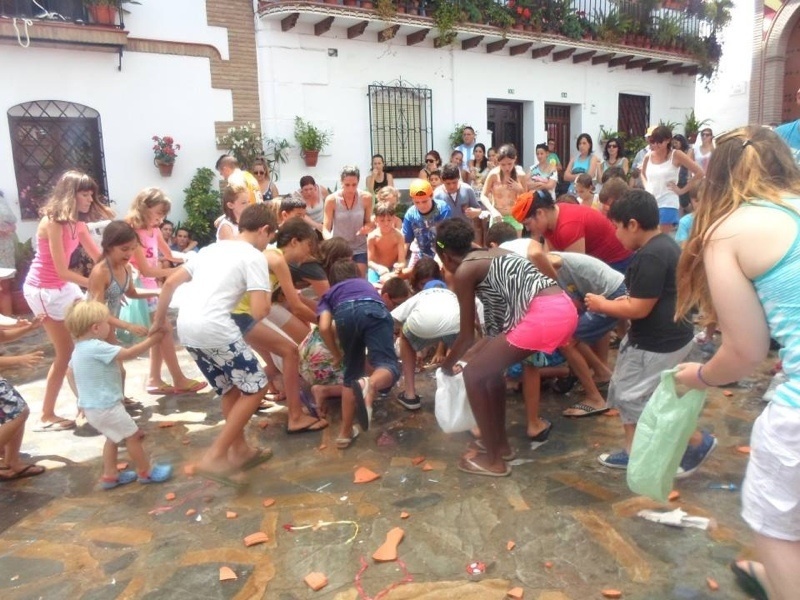 Saturday’s celebrations start in the main plaza at about mid day with games for the children, including sack races, scrabble for sweets that fall from the piñata, an earthenwear pot suspended above the square and smashed open by a pole weilding, blindfolded chap who swings wildly until the pot is located, smashed open and sweets spill onto the ground below. When all the children are in a scrum to collect as many sweets as possible, it seems a good time to turn on the hose pipe and soak as many children and spectating adults as possible. The whole event seems to revolve around a good soaking and the lovely plaza fountain doubles as a paddling pool, and the kids soon realise that with an appropriately placed finger they can easily divert the flow of water to land on unsuspecting spectators. 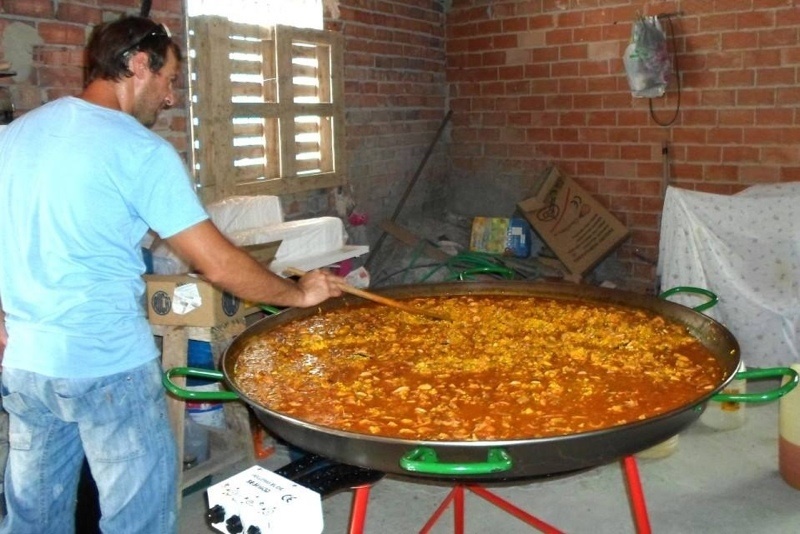 As always, there is a bar available for beer, wine and soft drinks and a huge (free of charge) paella is prepared for all who join the long queue. So after the paella, we take Roly home before the foam party and disco commences. 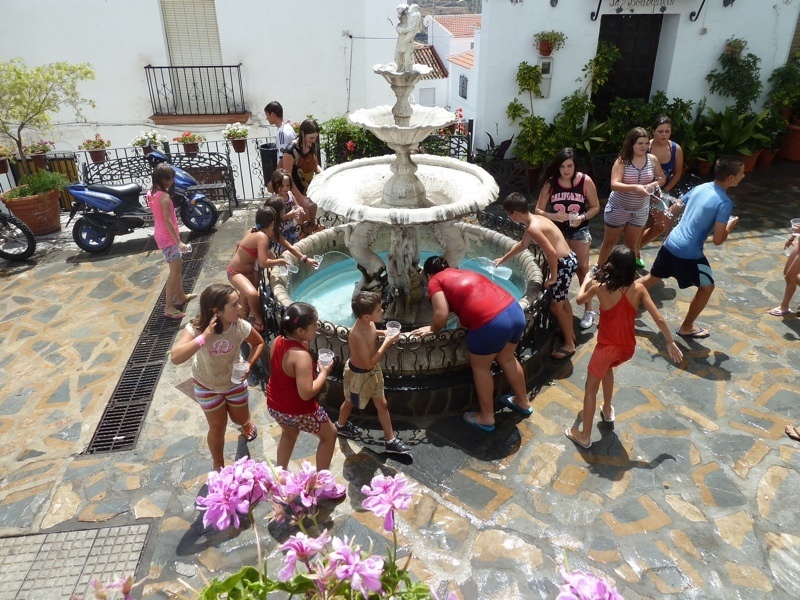 Such great family fun in the beautiful Canillas plaza. On Saturday evening we go to see our favourite band playing at the Alberdini, a rustic hotel and restaurant with amazing views to the coast, where Guiri play their brilliant music out on the terrace under a beautiful starlit sky. Once we start dancing, we dont stop until the band ceases playing at precisely 11:30pm (new strict regulations in Competa), by which time the party will have started in Canillas, so we drive the few kilometers to the next village where the first group has commenced belting out their music and people are already starting to dance. 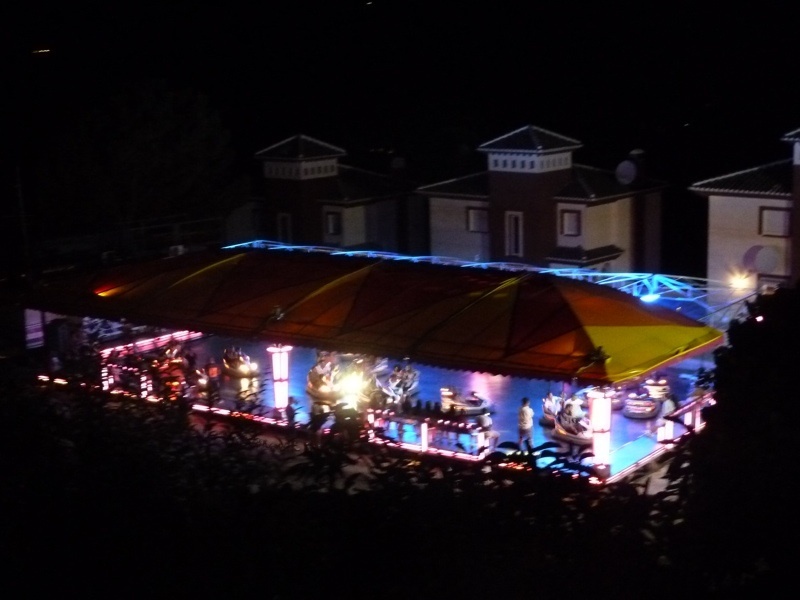 The entertainment is set up in the village car park, with a big stage for the bands, and temporary bars set up all along the edges, with a variety of drinks and food available. There are a few stalls and rides for small children at one end and in a different location there are fairground dodgems, also belting out loud music. 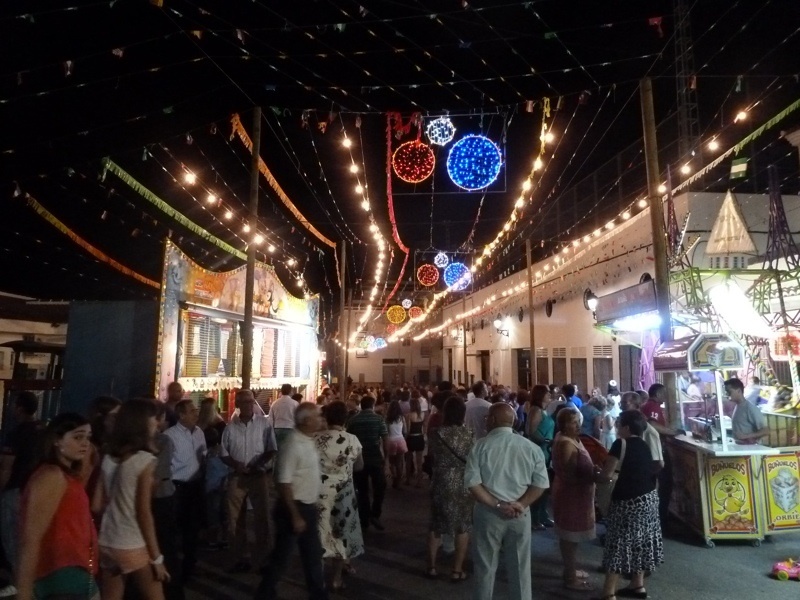 The Canillas feria is small and intimate in comparison to the affair hosted by neighbouring Cómpeta, and I think it is all the better for it. There are two pop groups that alternate throughout the night, so the music never stops – until 7am! We stay and enoy the atmosphere until about 2:30 but by then we have had enough fun and are hopeful that we will be tired enough to sleep through the noise. 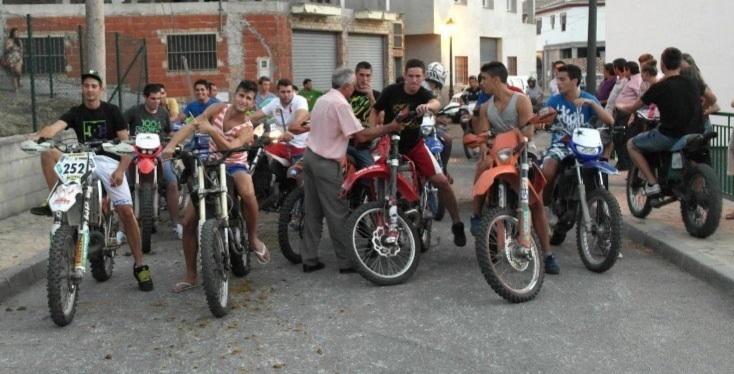 On Sunday morning the people of the village who are ill are visited by a deputation, including the village band, taking them a present and wishing them well so that they will be able to attend the feria next year. There are more fun and games for the children in the plaza at mid day. 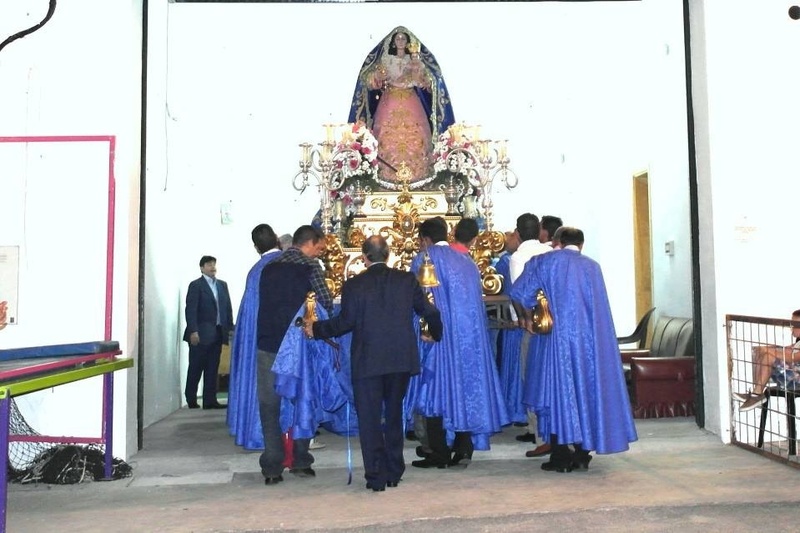 In the evening, after a solemn mass at the old church, the statue of the Virgen del Rosario is carried around the village followed by a procession of villagers and the town’s horses and riders. 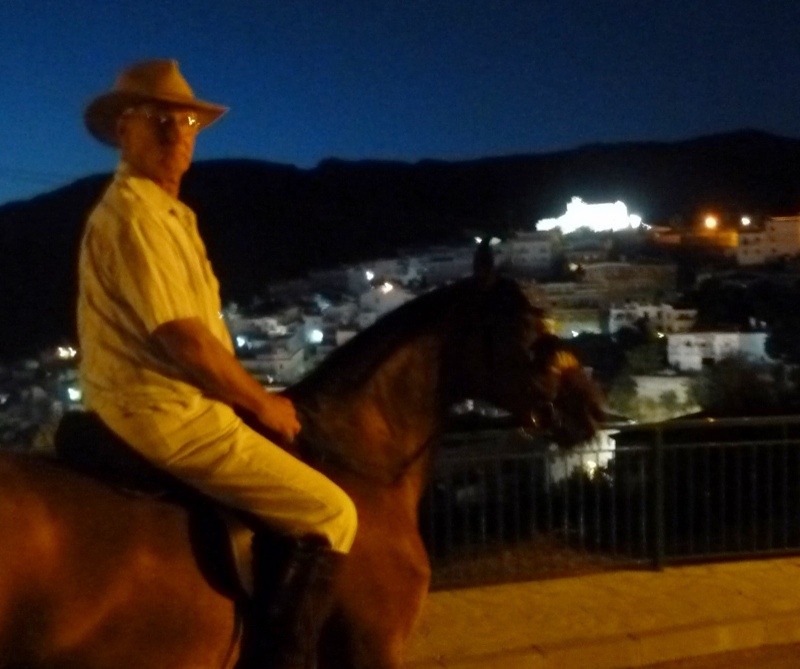 David had planned to take Liana down for the procession (romeria) but finally decided that he would give it a miss, probably feeling a bit jaded by all the late nights and an oncoming throat infection that I had brought back from the UK. Homage is paid to the virgin by way of a firework display – proper pretty fireworks, not the rockets that are exploding all throughout the weekend. We have a particularly spectacular view of the fireworks from our terrace above the village, we don’t have to crane our necks at all, the show is at eye level. 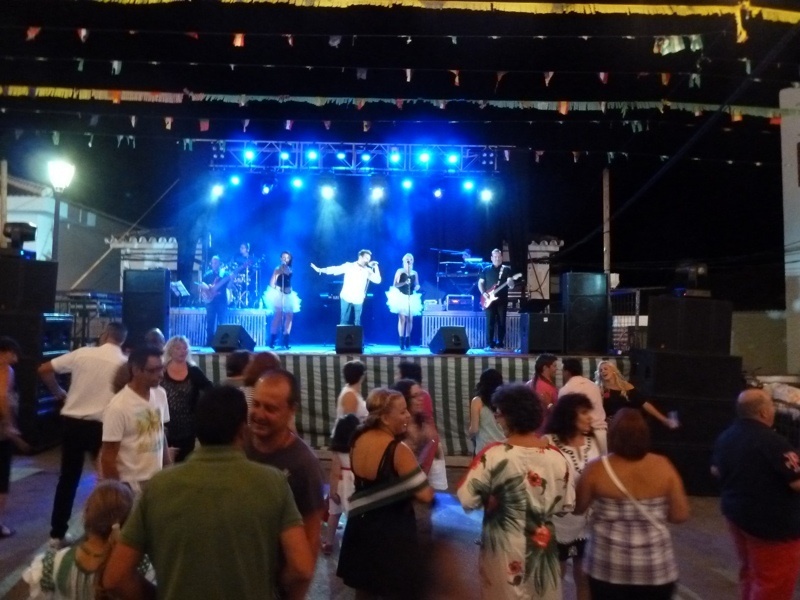 Then the party recommences at 11pm with the final night of music and dancing, lead by the same two pop groups, interrupted by a prize giving ceremony at 2am after which the festivities continue until sunrise, when a flurry of rockets are exploded to mark the end of the feria. 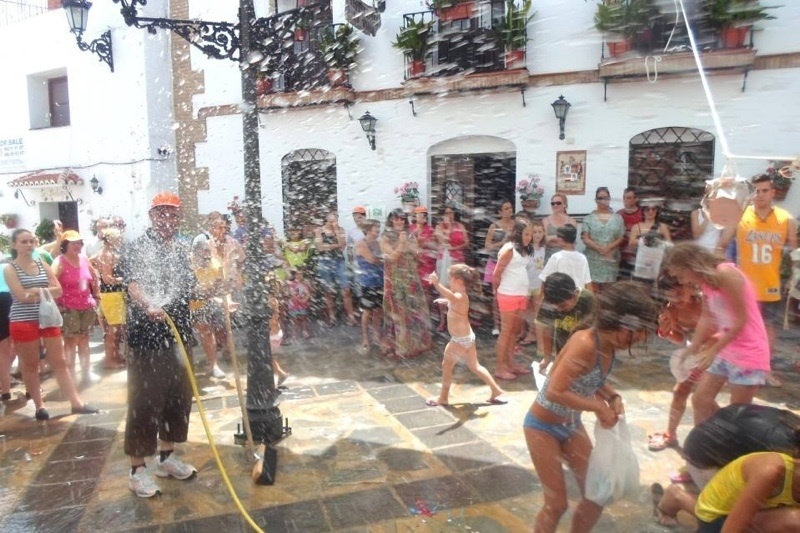 The Spanish have amazing stamina to enjoy themselves, and we extranjeros find it very hard to keep up. They certainly know how to party! Many thanks to Paco Fran for allowing me to use some of his photos. 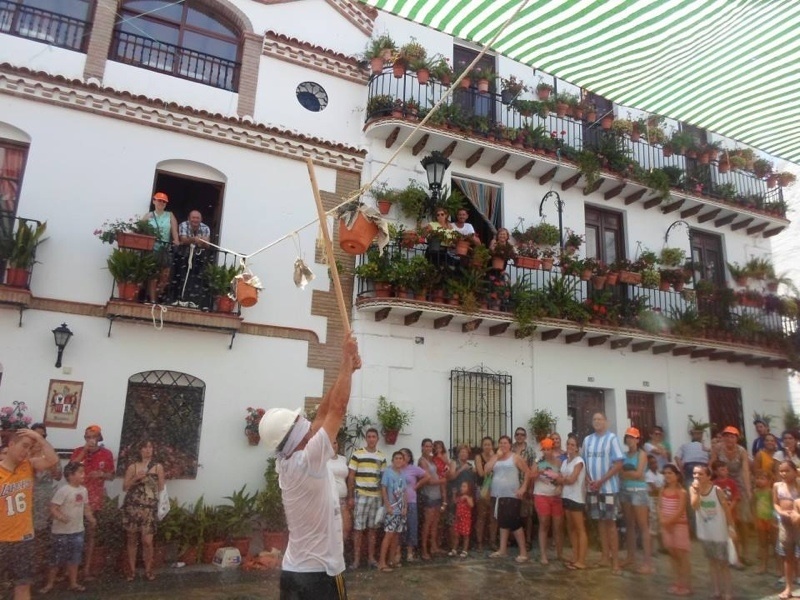 will there be an opportunity to see any of these festivals on the camino in Sept /Oct this year? ?